1871. ENSAYO. 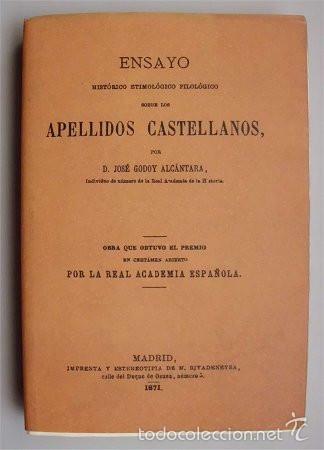 APELLIDOS CASTELLANOS. POR D. JOSÉ GODOY ALCÁNTARA. 1ª ED. Hora oficial TC: 12:17:41 TR: 90 ms.